As a Mitsubishi Diamond Contractor, A.J. Michaels relies on Mitsubishi Electric’s rugged, efficient P-Series systems to deliver maximum personalized comfort control plus energy savings for any light commercial HVAC application. 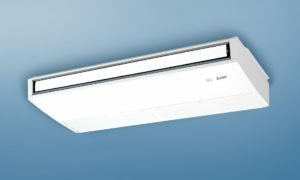 P-Series systems are backed with reliable technical and application support from Mitsubishi Electric Cooling and Heating. These innovative technologies, advanced designs, and super-efficient systems are the right solution for your light commercial, institutional, and large residential installations. 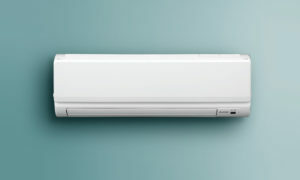 Mitsubishi Electric system’s total installed costs are competitive with conventional systems with higher product quality that makes them last up to twice as long. Even with a longer lifestyle you can count on greater reliability, which means greater cost savings, as well. Because these systems are modular, they are easy to adapt to expansion or reconfiguration if capacity needs change or different air handling units are needed. Indoor units can be easily added, changed out or moved to accommodate building renovations. Mitsubishi Electric’s INVERTER-compressor technology is as smart as it gets. It uses the absolute minimum energy necessary to maintain required cooling and heating levels while adjusting to partial-load conditions. Plus, these systems are designed to small, quiet and out of the way. Select from a wired wall-mounted, wireless wall-mounted, or hand-held wireless controller for ultimate temperature control year-round. Contact A.J. Michaels today to discuss your commercial HVAC needs.